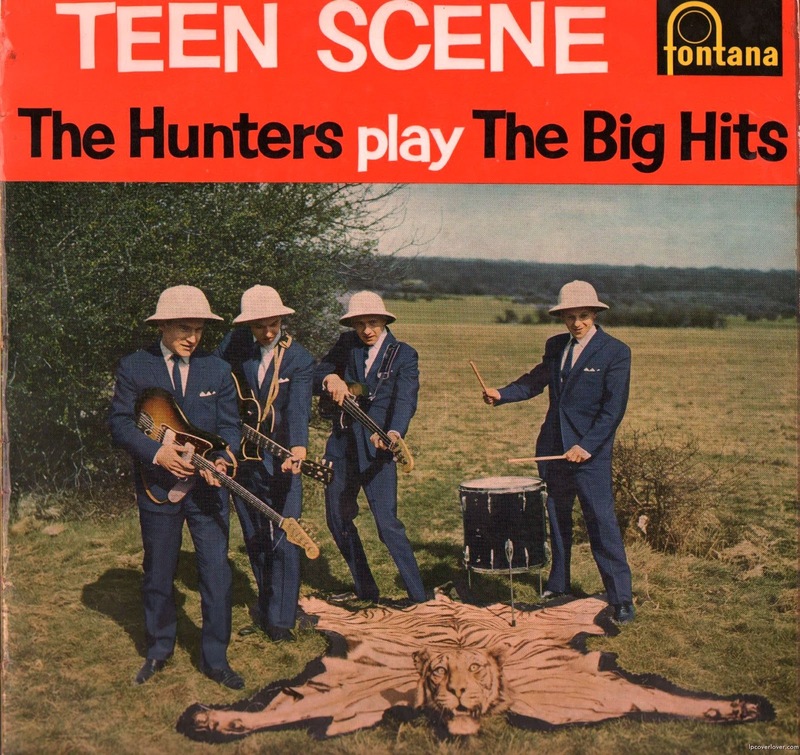 The Hunters were a British instrumental band from the late 1950s to early 1960s. The Dutch rock band Golden Earring was named after their single "Golden Earrings". The band also appeared behind Cliff Richard (a contemporary from Cheshunt) as The Shadows, when the latter were unavailable due to a car accident, including an appearance on the Sunday Night at the London Palladium TV show in 1958 and the NME Poll Winners Concert at Wembley Empire Pool in 1959. Instrumental tracks from the band have often been mistaken as that of The Shadows and retrospectively people have often wrongly assumed that The Hunters were copyists. 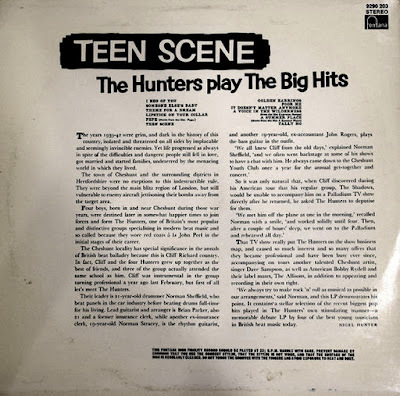 In truth, there were a number of instrumental bands around in the very late 1950s and early 1960s, who played in a similar style and their sound was more a product of the guitars and equipment available at the time. After The Hunters, lead guitarist Brian Parker, bass guitarist John Rogers and rhythm guitarist Norman Stracey were in The Roulettes (though not all at the same time), a band that was employed as the backing group to singer Adam Faith. Parker quickly moved on and with friend Buster Meikle from The Parker Royal Five, his earlier band from Cheshunt, went on to found and have a No. 1 chart success with the band Unit 4 + 2. Drummer Norman Sheffield went on to launch Trident Studios with his brother in London, used by many famous recording artists of the late sixties and seventies most notably Queen, whom Sheffield managed in the early years of their career, leading to their first chart success.